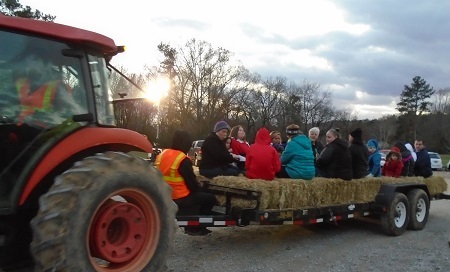 Boynton United Methodist Church and Boynton Baptist Church will host Christmas at the Farm on Saturday, Dec. 15, at 5:30 p.m. at Willow Tree Farms, 607 Post Oak Road in Ringgold. It has been moved back a week due to inclement weather expected this Saturday (Dec. 8). 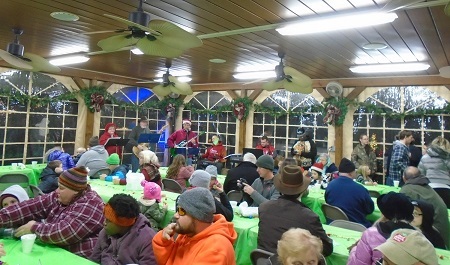 "This is a wonderful opportunity for our churches to come together and share the love of Christ with all the community who desire to experience the love which is Christmas," said BUMC Pastor Randy Walworth. "We have all types of special activities planned for the whole family." The event includes Santa, a hayride, children's activities, live music, a message, a petting zoo, a firepit, hot beverages and snacks. Admission is free, however, canned food donations for Christ Chapel Share and Care Mission or cleaning supplies for the Family Crisis Center are welcome. For more information, call 706-866-2626 or 952-1551.